Directory and listing WordPress themes are developed and designed to run business directories, real estate portals or any other kind of directory website. 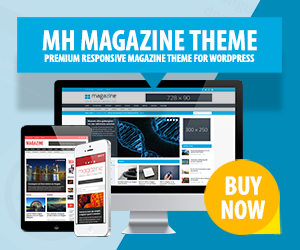 WordPress themes for directory websites list and sort shops, restaurants, business locations, medical services or else in an organized and neat way. Directory themes should provide powerful utilization for customers, visitors and the webmaster of the website. Nice features as advanced search options or implemented ad spaces for banners and advertisements are truly useful and should be offered in every directory WordPress template. In case you are planning to create a directory WordPress website for your business, you need a suitable and optimized directory WordPress theme for this purpose. There are several templates to choose from which you could use to create your professional directory with. Depending on the website you are planning to create, you should ensure that the directory theme meets your needs and requirements and that it is compatible with your preferred plugins or other external features you might need, like for example WooCommerce, WPML or else. When using directory WordPress themes you can list jobs to create professional job directories or you may list restaurants and utilize Google Maps so that users are able to locate the chosen restaurants easily. To list and sort coupons or discounts in a professional and consumer friendly way, directory WordPress templates are also a very suitable solution and can be the start of successful directory business websites. The Kupon theme for WordPress is a beautiful example of how a daily deals and coupon website could be presented. Featuring a high-level of professional functionality and a comprehensive collection of customization options, your visitors will be saving money in no time. The Kupon theme is ideal to generate those all-important affiliate commissions for you….